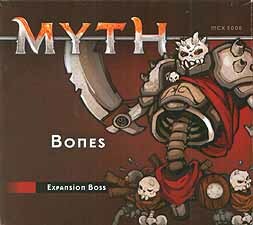 No one knows whether Bones is the reanimated corpse of a giant or some sort of demon dreamed up on a nightmare. What is known is this monster has the ability to summon Shamblers and Soulless at will, and keep them alive even if they are struck down in battle. Four Shamblers carry Bones around on a palanquin as he strikes his foes down with gigantic blades attached to his arms. Those who stand in the presence of Bones question their faith as the Darkness consumes everything around them.